A man whose surrender is sought by the United Kingdom on foot of a European Arrest Warrant has not shown that there is a substantial risk to his rights in view of Brexit. Stating that the Court of Justice of the European Union had already answered ‘almost identical’ questions of European law referred in the case of another man who challenged his surrender, the Chief Justice, Mr Justice Frank Clarke said that the ‘mere theoretical possibility of impairment of rights’ was not sufficient to override the obligation to surrender. Adjourning the matter for four weeks, Mr Justice Clarke said that unless it was shown that the issues recently addressed by the CJEU remained alive, the Supreme Court would consider reaffirming the order for surrender. Mr Thomas Joseph O’ Connor was the subject of a request from the UK for his surrender on foot of a European Arrest Warrant, and in the High Court in 2017, Ms Justice Aileen Donnelly affirmed an order for his surrender. In the Supreme Court in February 2018, Mr O’Connor sought to have the order for his surrender vacated, arguing that his surrender was no longer legally permissible as a result of Brexit and the UK’s impending departure from the EU. Delivering the judgment of the Supreme Court in that judgment, Chief Justice, Mr Justice Frank Clarke, referred questions of European law to the Court of Justice of the European Union (CJEU) under the provisions of Article 267 of the Treaty on the Functioning of the European Union. Mr Justice Clarke requested that the preliminary reference be dealt with by the CJEU under the urgent preliminary ruling procedure (PPU procedure), however the CJEU did not accede to that request. In the meantime, a similar case came before the High Court in circumstances where, unlike Mr O’Connor, the person concerned was in custody. In Minister for Justice, Equality and Law Reform v R.O, Ms Justice Aileen Donnelly referred almost identical questions to the CJEU, and requested for the reference be dealt with under the PPU procedure. Para. 4 of Article 267 TFEU refers to the CJEU’s obligation to act “with the minimum of delay” in respect of a preliminary reference concerning a person in custody, therefore the CJEU decided to grant the request in R.O. The CJEU gave judgment in R.O in September 2018, finding that Member States cannot refuse to execute EAW’s while the issuing state is still in the EU, unless there are substantial grounds to believe that the person concerned is at risk of being deprived of his or her rights recognised by the Charter and the Framework Decision. 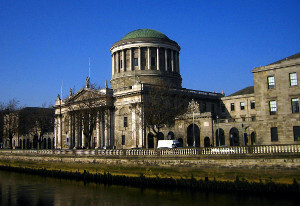 For consideration in the Supreme Court was whether it continued to be necessary to obtain the answers sought from the CJEU in Mr O’Connor’s proceedings. Arguing that the Court should allow the reference to go ahead, Mr O’Connor submitted that the CJEU’s decision in R.O was wrong, or alternatively that it could not be said that R.O provide a definitive determination of the legal issues concerned, because certain issues sought to be considered on behalf of Mr O’Connor were not considered and/or determined by the CJEU in R.O. Reiterating that the questions posed in R.O were substantially identical to the questions posed in Mr O’Connors case, Mr Justice Clarke said that the overriding fundamental principle identified in the jurisprudence of the CJEU in regard to EAW’s was that surrender should be ordered unless there is a real risk that the rights of the individual concerned will not be respected. In Aranyosi and Cãldãraru (Cases C‑404/15 and C‑659/15 PPU), the CJEU concluded that the executing judicial authority must determine ‘whether there are substantial grounds to believe that the individual concerned by a European arrest warrant… will be exposed, because of the conditions for his detention in the issuing Member State, to a real risk of inhuman or degrading treatment, within the meaning of Article 4 of the Charter, in the event of his surrender to that Member State’. In Minister for Justice and Equality v. L.M. (Deficiencies in the system of justice) (Case C-216/18 PPU), the Court said that the executing judicial authority was required to assess the existence of a real risk that the individual concerned would suffer a breach of fundamental rights when called upon to decide on surrender. Furthermore, in R.O the Court concluded that, in the absence of substantial grounds to believe that the person subject to the EAW is ‘at risk of being deprived of rights recognised by the Charter and the Framework Decision following the withdrawal from the [EU] of the issuing Member State, the executing Member State cannot refuse to execute that [EAW] while the issuing Member State remains a member of the EU’. As such, Mr Justice Clarke said that ‘a mere theoretical possibility of impairment of rights’ was not sufficient to override the obligation to surrender. Considering the potential infringement of rights suggested by Mr O’Connor, concerning the rule on specialty and the question of credit for time served in prison, Mr Justice Clarke said that this had been dealt with in R.O – where the CJEU held that the only way Brexit might prevent surrender was where there were substantial grounds to believe that the person was concerned was at risk of being deprived of recognised rights. In Mr O’Connor’s case, Mr Justice Clarke was not satisfied that substantial grounds had been substantiated. Mr Justice Clarke said that, although ultimately it was a matter that the CJEU may need to consider, it was highly unlikely that the CJEU would be persuaded in Mr O’Connor’s case to give different answers to the almost identical questions raised in R.O. In those circumstances, Mr Justice Clarke said that he was not satisfied that it continued to be necessary for the Supreme Court to continue to seek the answers to the questions raised in the reference already sent to the CJEU. Against that background, Mr Justice Clarke proposed that the Supreme Court should indicate to the CJEU it’s view that the questions referred in Mr O’Connor’s proceedings had been answered in R.O. Acknowledging that it remained open for Mr O’Connor to persuade the CJEU that R.O was wrongly decided, Mr Justice Clarke adjourned the matter for four weeks on the understanding that the Court would consider whether to dismiss the application and re-affirm the order for surrender, unless Mr O’Connor made immediate submissions to the CJEU and the prospect of the CJEU re-opening the questions raised and answered in R.O remained alive.